STELLA JONES is the daughter of bebop trumpet player Carmell Jones and Fluxus artist & blues singer Christine Jones. Born in Berlin she grew up surrounded by well-known artists, started to play piano age five and performed her first public concert on stage at age seven. She was entitled „Miss Black Voice“ and is known as a Jazz, Pop, Funk & Soul, and Gospel Singer. She works with international stars such as Helene Fischer, Otto Waalkes, Katrina & The Waves, Taylor Dayne, Maceo Parker, Gloria Gaynor, Nina Hagen, Marianne Faithful, Omara Portuondo, Chaka Khan, The Duke Ellington Orchestra, VSOP, Wolfgang Ambros, Rainhard Fendrich , Count Basic, Bill Ramsey, Udo Jürgens, and many more. Stella Jones represented Austria at Eurovision Songcontest in 1995 and was chosen as support act for superstars such as Tokio Hotel, Otto Waalkes, Lisa Stansfield and Simply Red. She is also one of the two first Austrian female singers to be included in the MTV Unplugged series, created in summer 2016 in collaboration with Andreas Gabalier, Xavier Naidoo, Gregor Meyle, Max Giesinger, Hip Hop Formation 257 and Anna Netrebko. At age fifteen Stella Jones started to work professionally in the entertainment industry. She represented Austria twice at the European Songcontest and worked with international artists like Sir Jam (Rapper of Prince), Chaka Khan, Gloria Gaynor, Nina Hagen, Omara Portuondo, Marianne Faithful, Katrina & The Waves, Taylor Dayne, Maceo Parker, VSOP, Udo Jürgens, Bill Ramsey, Helene Fischer and many more. Stella Jones is also seen as the support act for various Artists & Bands like Tokio Hotel, Otto Waalkes, Lisa Stansfield and Simply Red. Known as a lead singer of a number of different bands she is touring throughout the year with her several music formations. Stella Jones is also the producer of several Children`s Musicals, Music Albums, and Audio Books and studied Performing Arts, Jazz Music, History, Germanic Philology, Astrotheology and Ancient Mythologies which various philosophies are reflected in her entire Musical and Visual Art Work. In 2012 Stella Jones founded VSC- Vocal & Stage Coaching which various techniques derive out of the science of systemic coaching. It combines the three main topics of performing arts with the achievements of the academic discipline of psychology. Born in the then West-Berlin, daughter of the blues singer and Fluxus artist Christine Jones and the bebop trumpet Carmell Jones, she grew up in an environment that included numerous international artists. At the age of 5, she started playing piano and began her musical career at the side of her mother Christine Jones performing at jazz clubs in the age of 7. Stella started her Musical Theater Career at the age of 15 when she got her first role in The Rocky Horror Picture Show. Stella Jones played many first cast roles in international Musical Productions like Crazy Weekend, Cats, Jesus Christ Superstar, Mozartmania, Rent, Ain`t Misbehavin‘, Little Shop of Horrors, Carmen Cubana and many more. With the formation Powerpack (Erwin Kienast, Norman Weixelbaum) and the title Birthday Song, Stella Jones had her first number one song in the Austrian hit parade in 1992. In 1995, Stella Jones represented Austria with the song „Die Welt dreht sich verkehrt“ (composition: Mischa Krausz) at the Eurovision Song Contest in Dublin. In the same year, she released her first album under the title „Thunder“. In 1996 Stella Jones was together with Georg Nussbaumer at the Eurovision Song Contest in Oslo with the song „Weil`s dr guat got“. 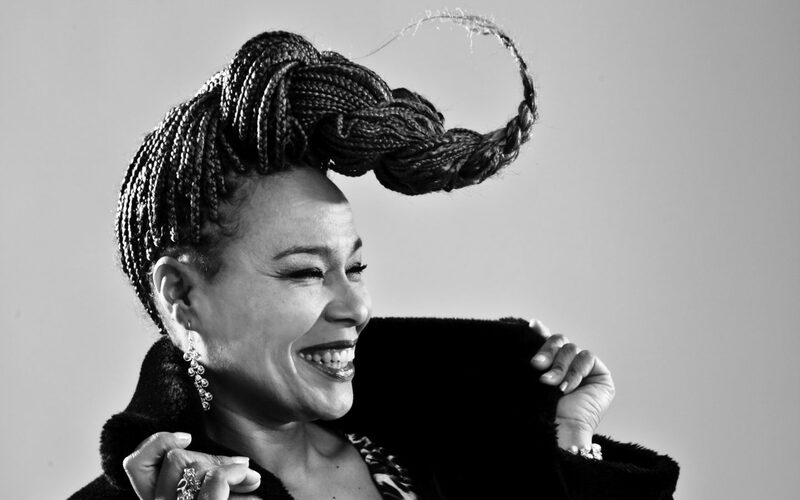 Stella Jones has worked with many international stars like Wolfgang Ambros, Rainer Fendrich, Wolfgang Ambros, Helene Fischer, Andreas Gabalier, Xavier Naidoo, Chaka Khan, Omara Portuondo, Nina Hagen, Marianne Faithful, Katrina & The Waves, Chaka Khan, Sir Jam (Rapper of Prince and the NPG), Count Basic, Alkbottle, Bingoboys, Hot Pants Road Club, VSOP, Boris Bukowski and many more well known artists. She collaborates with numerous TV and promotional productions like ORF, and trains international singers who are participating in DSDS and The Voice, produces audio books and children’s musicals, works as a musical director and chairwoman as well as a systemic coach and trainer for business companies. Since 2001 Stella Jones is the musical director of the international known Gospel Groups „American Christmas Gospel“ and „Stella Jones & The American Gospel Singers“ with which she is touring every year for 2 months across Europe during the winter season. In 2008 Stella Jones produced her first solo album, THE PURSUIT OF SILENCE. The recording of the tracks included Willi Langer on the bass, Dieter Kolbeck on piano, Gerald Schuller on keyboards, Luis Ribeiro on the percussions, Martin Fuss on saxophone/flute, Josef Burchartz on trumpet, Christian Radovan on trombones, Pedro Tagliani on guitar and Thomas Lang on drums. In 2012, her second solo album, MAYA-MYSTIC ANCIENT YEARNING ASTRONAUT, appeared with international musicians such as Manu Delago (Hang), Thomas Lang (drums), Pedro Tagliani (guitar), Armin Doppelbauer (vocals), Christoph Stöhr (Beat Box) and MC Stimulus (RAP). In 2016 Stella Jones produced her third solo double album DREAMSPACE EARTH, in which she musically reveals and translates mythological traditions of three continents. In the same year, she released her singing tutorial SINGING WITH THE STARS in collaboration with the Doblinger Verlag. 2017 and 2018 were notable concerts years where Stella was touring across Europe with MTV Unplugged & Andreas Gabalier. In the Wintertime she was touring with her Gospelformations through Austria and the Czech Republic. In late 2018 her fourth album „Songs 4 my Mother CHRISTINE“ was released. Stella will be on tour also the entire year of 2019 including worldwide video shootings for her latest Album „Songs 4 my Mother CHRISTINE“.